Why are these tulips tilting to the side? I think it is because they are in the shade and they were trying to get to the sun! 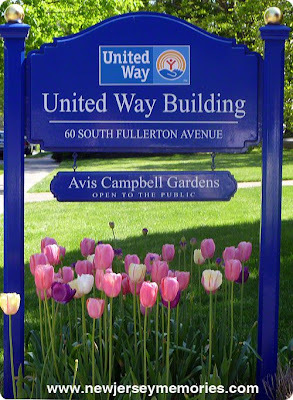 Here are more photos from the front of Avis Campbell Gardens, at the United Way Building, in Montclair, New Jersey (right next to the Montclair Public Library). 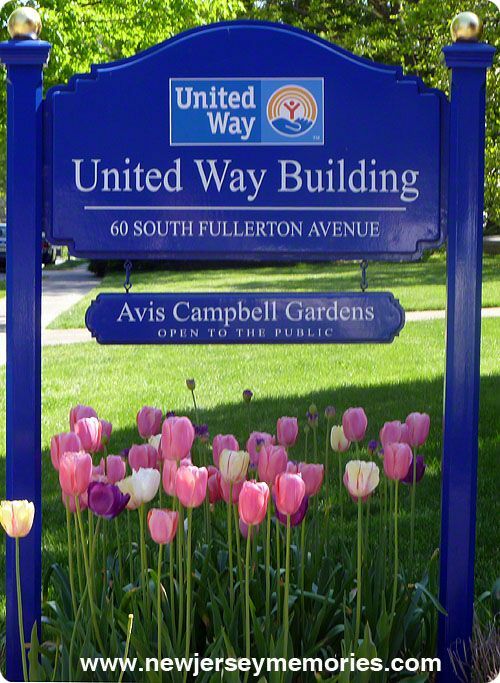 You see, this tulips in the first photo below are NOT tilting because they are in the sunshine. It may look like they're in the shade of the sign, but the sun was right above them. For Outdoor Wednesday, click here. I love them, too! They're everywhere around here! Well, whatever the reason, they are GORGEOUS!! Didn't see many here this year. Weird weather. 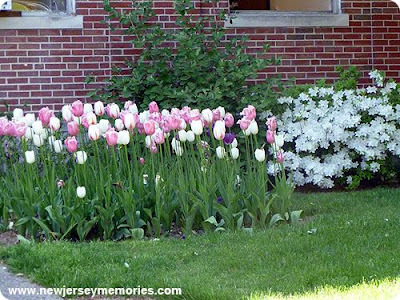 Montclair has tulip committees, I believe. I mean it. 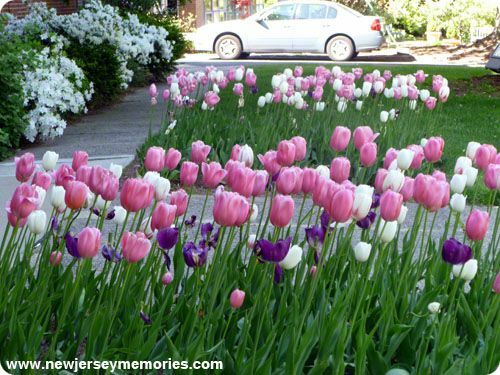 Tulips are the town flower, and an important part of the "May in Montclair" celebrations. Beautiful flowers. Definitely signs of spring. Beautiful! My 5 year old loves tulips. I promised him that we would plant a lot this fall for next spring. Funny! 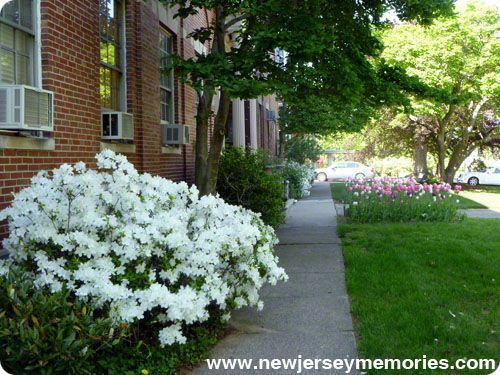 My husband comes from the Montclair area. He grew up in Bloomfield, and I think he lived in Montclair for a few years. I love the tilting tulips. they may be leaning, but they are still lovely. Great shots and great post. 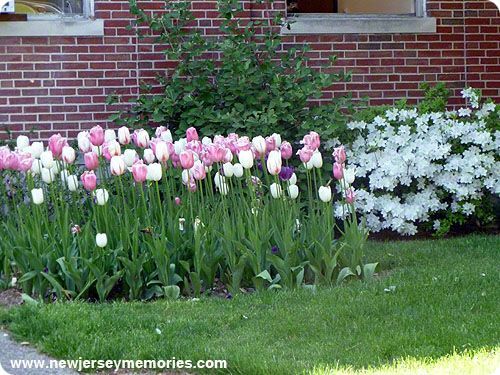 I love the leaning tulips. Tulips are so beautiful. I love them. 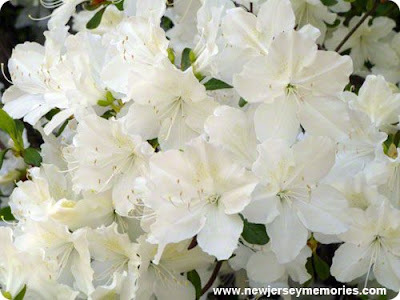 I think that they are as pretty as roses, but without the pretensions or thorns. Thank you. I found them endearing, too. 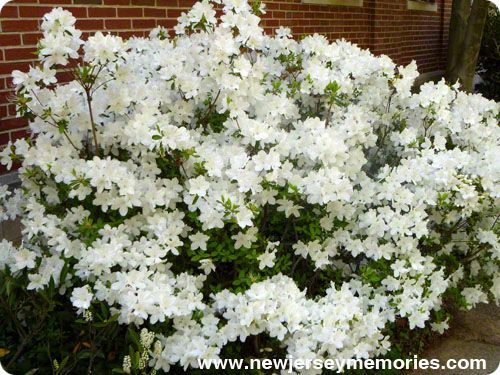 What stunning and lush flowers. The colours are amazing and they really add to the streetscape. I think you might be right about them leaning towards the sun - just like we humans, they must long for this time of the year. 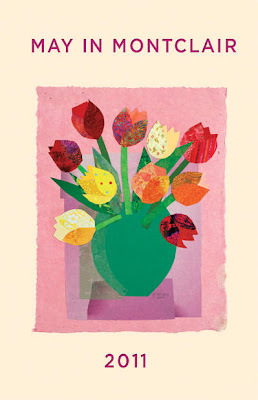 I love tulips - they are such happy flowers. Spring has sprung... how lovely! Thankfully spring is here. The winter was endless. Five months much? I love them too. They are so happy and pretty!